The official Sengoku Basara social media accounts have been teasing the announcement of more guests for Sengoku Basara 10th Anniversary Matsuri ~Feast of Ten Years, Ten Shades~ recently, and this morning the second news bulletin was finally posted. There will be two musical guests at the event: Ishikawa Chiaki (Saturday only) and the pop group SOLIDEMO (both days). Ishikawa is a regular who has contributed a substantial number of songs to the series already, but if you haven't been keeping up with recent news you might not be familiar with SOLIDEMO's collaboration on the series' tenth anniversary theme song Toki Wo Koete. It's an interesting choice to feature a group like this at a Sengoku Basara event. There are also a few new seiyuu guests to add to the already-generous roster. Nakamura Yuuichi (Shima Sakon) and Miki Shinichirou (Gotou Matabee) will be appearing on Saturday while veteran actor Wakamoto Norio (Oda Nobunaga) will be in the Sunday show. There's been no mention of Nishikawa Takanori in the guest list so far, but I'd be very surprised if he isn't going to be included, especially with only one musical guest on Sunday. T.M.Revolution performances are one of the highlights of a good Basara Matsuri! He's famous enough to be able to have his own dedicated announcement later on and the guest lists advise that more performers will be added later on. We should see a third round of guests revealed in due course. If you missed the first news about this event, the original guest list and schedule information can be found here. 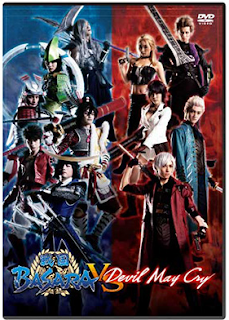 Those of us anxiously waiting to place our preorders for the Butai Sengoku Basara vs Devil May Cry stage play DVD will soon be able to relax now that Capcom have announced the release is definitely going ahead. The DVD version will cost ¥7,000 and go on sale on 11th November 2015, with preorders opening tomorrow in conjunction with the launch of the play's official online shop. The set will include two DVDs. The first contains the show itself and lists a runtime of 183 minutes, while the second is for 118 minutes of bonus material, including footage from the curtain call of the grand finale, a summary of the 'after talk' sessions and some cast interviews. The first press version of the DVD will come with a special booklet as its bonus. Edit 10/10/2015: The shop listing is now live and confusingly it gives a runtime of 167 minutes for the main feature with 119 minutes of bonus material. Even though there were subtitles for the live performances the disc is listed as being in Japanese only - I left a disappointed comment when I placed my order. I actually e-mailed them some time ago and asked if they were going to add English subtitles since they had live ones (!) but didn't get an answer. Since most foreigners wouldn't be able to actually see the play in Japan, but instead on DVD, I think the priority was weird. Yeah, what makes it even weirder is that I've seen some of these stage play companies attending Japanese-interest events as far away as the UK/France and bringing their (very expensive) DVDs along to sell. If they came with foreign subtitles included it would make the package a lot more appealing for people. Oh well, maybe if we keep giving polite and forceful feedback they'll eventually decide to give it a try. 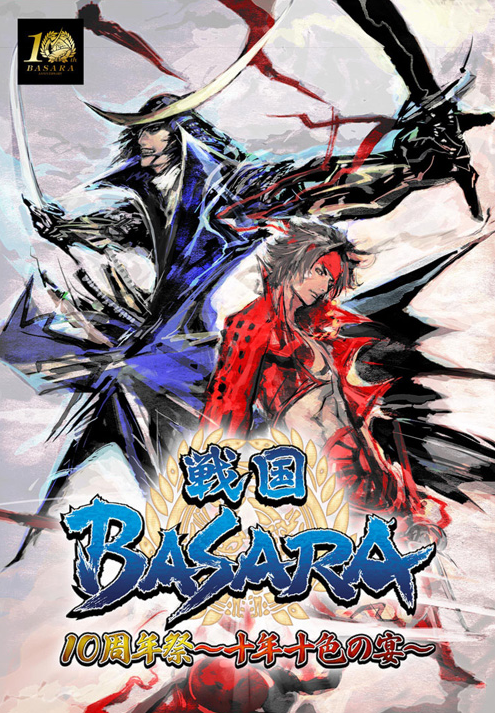 But most importantly I want to thank you personally for keeping up with all things Sengoku Basara. I know it can't be cheap but I greatly love your work. I've been a fan since the trailer of Samurai Heroes first came out (dubbed on nicovideo that was a treat for me lol) and I have pushed many of my friends into it(I've got my brother to even cosplay Yukimura with me as Masamune and he doesn't do cosplay.) I always come to your site to see just what new thing is coming out for the series. Also believe it or not, you helped push me into importing a game for the first time(SB4 and it was my push for a PS4 as well) and with your translations I was able enjoy and understand it(but I mostly played Yukimura so that wasn't hard to figure out lol) so thank you again! Thank you for the kind words. I'm really happy that the loyal fan base for this series keeps on loving it and spreading the word about how great it is despite the lack of support from Capcom in the west. And wow, Yukimura is a bold cosplay for someone who doesn't usually do it - you have a cool brother!